Richard Wiley is an award-winning novelist and the recipient of the PEN/Faulkner Award for Fiction for his novel, Soldiers in Hiding. 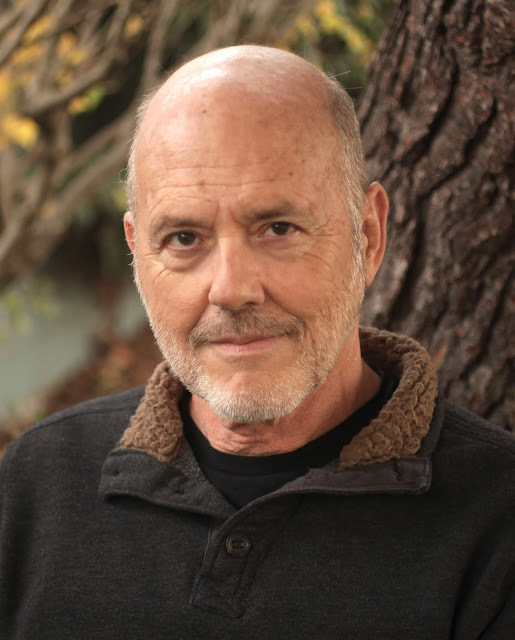 His latest novel, Tacoma Stories, is set in his hometown of Tacoma, Washington, but has personal experience at its foundation. Hailed as a major talent from a young age, Wiley begins his Tacoma stories at Pat’s Tavern on St. Patrick’s Day in 1968 and follows sixteen people who were at the bar as their lives unfold during the decades that followed. Stay Thirsty Magazine was honored to visit with Richard Wiley in his hometown for these Five Questions. STAY THIRSTY: In your new book, Tacoma Stories, you follow sixteen people’s lives from St. Patrick’s Day in 1968 at Pat’s Tavern in Tacoma, Washington, until the present. How did you settle on the idea of following these people from that particular day forward? Did you intend for your book to be a reverse telling of The Bridge of San Luis Rey? RICHARD WILEY: First of all, no, I didn’t think of The Bridge of San Luis Rey when I was writing Tacoma Stories. I wish I had, since I liked that novel when I read it about a half a century ago. Actually, I had written and published a few stories set in Tacoma (my home town), before I got the idea of linking them all to Pat’s Tavern back in the day. After I got the idea, I had to re-fashion those stories so that they would fit. And then write new stories to complete the structural idea of having every (fictional) person in the bar that night more or less “star” in a story of their own. STAY THIRSTY: One of the people in your book is Becky Welles, the late daughter of Orson Welles and Rita Hayworth. Was she really at Pat’s and did you know her personally? RICHARD WILEY: Yes, Becky Welles was a regular at Pat’s during the year or so that I tended bar there. She usually came in alone, sat at the bar, and chatted with me as I went about my work. She was a very genuine young woman. I got the sense – I think everyone got the sense – that she was trying to dig out from under the weight of the tremendous fame of both her parents, and that digging out was taking some work and some time. I lost track of Becky after that, but when I read her obituary in our college alumni magazine (she died at 59), it seemed obvious to me that she had found what she was looking for. In the end, she never left Tacoma, married and had a family here, and was surrounded by those who loved her. What could be better than that? STAY THIRSTY: Whose lives are more interesting to you – the famous or the ordinary? Those who travel or those who stay home? RICHARD WILEY: Ordinary lives are far more interesting to me, without question. I guess because inside the minds and hearts of those who are living them, they are urgent, vital, and not the least bit ordinary. Whether or not the lives of those who travel are more interesting than those who stay at home...it’s an interesting question. I have spent some dozen years of my adult life living in other countries – Korea, Japan, Nigeria, Kenya – and thereafter placing novels in them. I used to think that such experiences were priceless. Lately, however, I’ve been leaning more toward the opinion that it doesn’t matter much for a writer, or for this writer, anyway, whether he travels or stays at home, since his life is predominantly lived inside his head. The imagination is borderless. STAY THIRSTY: Did you intend your characters to individually and collectively be a respective “everyman” and Tacoma to be any town, anywhere in America? RICHARD WILEY: Maybe, but I hadn’t thought of it that way until you asked. Your first question had to do with a Thornton Wilder novel, and, as it happens, I have just finished reading and seeing Our Town, for the first time in eons, in preparation for another project. I think place deserves a bit more credit than it usually gets as a formative aspect of character with real people in the sense any town with which one bonds has the power to sway one’s sense of the world immeasurably; that town is quite simply one’s reality. If a character works properly on the page, however, both the writer and the character might rightly be a bit miffed to think that he or she is only a representation.... So, I hope to get away with “yes” and “no” as an answer to this question. STAY THIRSTY: As you look back on your life, how does the idea of revisiting places that you were at fifty years ago strike you? How has the passage of time affected you and affected the people in your book? 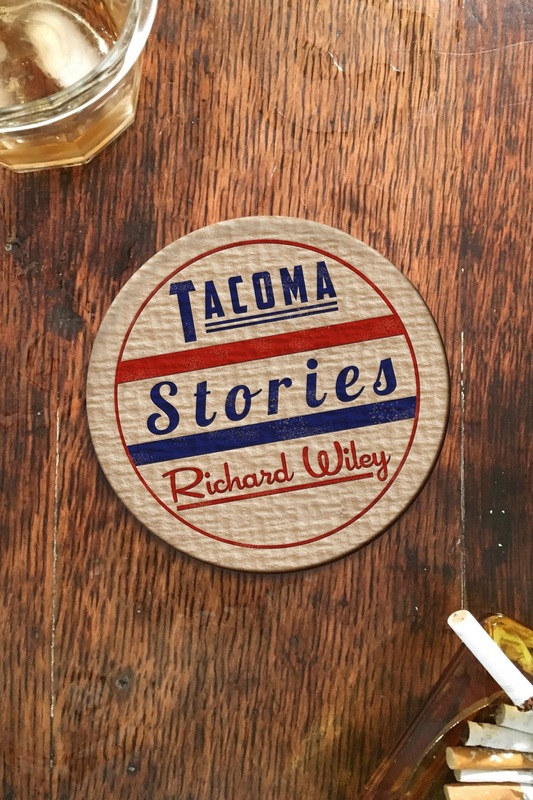 RICHARD WILEY: In Tacoma Stories, because I had been away from Tacoma for many years, I wanted more than anything to be correct with such things as the names and juxtapositions of streets, parks, bars, docks, as well as with driving times and distances from, say, downtown Tacoma to Paradise lodge up at Mount Rainier. So, I did a lot of driving around, remembering childhood moments on the beach where I grew up just outside of Tacoma at a place called Brown’s Point, remembering childhood friends and even foes. It was, as I suspect all such experiences are for most of us, a bittersweet experience. It might be true that you can’t go home again, but we do it all the time inside our heads. For this book, I just happened to do it in my car. The characters in my book, however...I don’t think of them as particularly looking back, but simply trying to get through the moment, get through the story, I guess you could say the moments in which they find themselves, the ones I have given them to navigate.